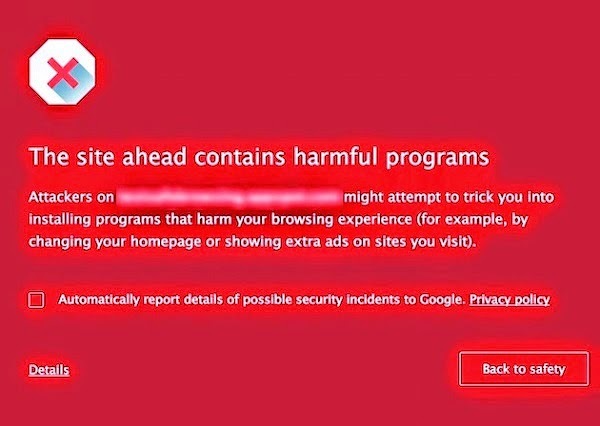 Google added new standards for information security in the popular browser "Google Chrome" designed to protect the user from the bad intentions of the sites where these new features enable the lock sites that broadcast malicious software on a user's computer. It seems that Google is working to improve the working conditions of the users on their products and including the browser, Google Chrome, and in order to give them the absolute protection of some sites and practices that are known, including the transmission of malicious software on users' computers while surfing her as the company pointed out in her blog e.
Users of Google's Chrome browser will receive a warning and will appear before their access to one of the sites that have been classified as sites publish malicious software and malicious, and this warning figures must be added to other warnings are shown to the user in the past in the case of downloading a malicious program from one of the sites, and this will The warning in the form of a message in red alert the user. On the other hand, Google's search results will be incorporated as well as special signs of such sites which emit harmful contents and is what will lead to a decline in the ability to see in the search results and thus reduce the access to them and protect users, and Google has indicated that it started in step New to disrupt electronic ads that refer to such sites.